We know that call quality monitoring is important to you; this is why we have developed the Majuda QualityTracker for your company’s needs. The Majuda QualityTracker is a fully integrated quality management solution that equips contact center agents and supervisors with the necessary tools to access and analyze customer interaction data and transform it into actionable information. In doing so, customer service levels and workforce efficiency will be improved resulting in a successful contact center. 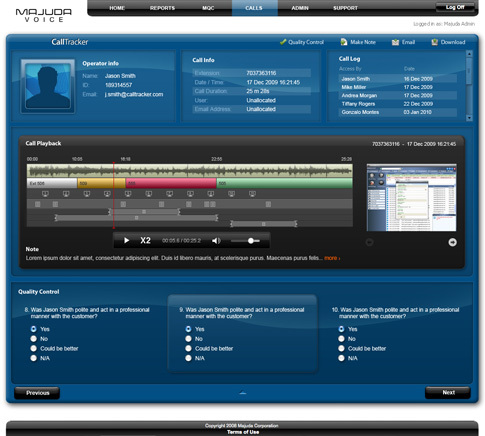 Call quality monitoring has evolved; let the Majuda QualityTracker improve your contact centers customer service.